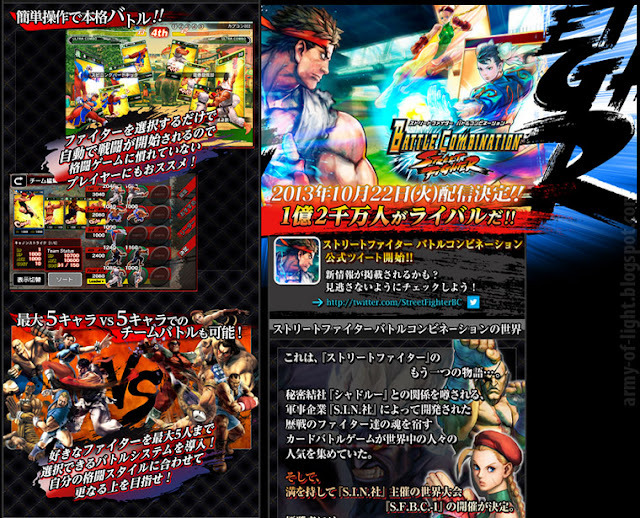 Capcom Online just announced on 1st August 2013 about the new Street Fighter fighting game for mobile device, that is... iOS and Android system. The game will be called 'Street Fighter X All Capcom' for iOS and Android. The game has promised about more than 500+ character from about 20+ titles. The sources of character not only limited to Street Fighter, but also span to other genre like Mega Man, Devil May Cry, Vampire, Monster Hunter, Biohazard, Rockman, and many others. 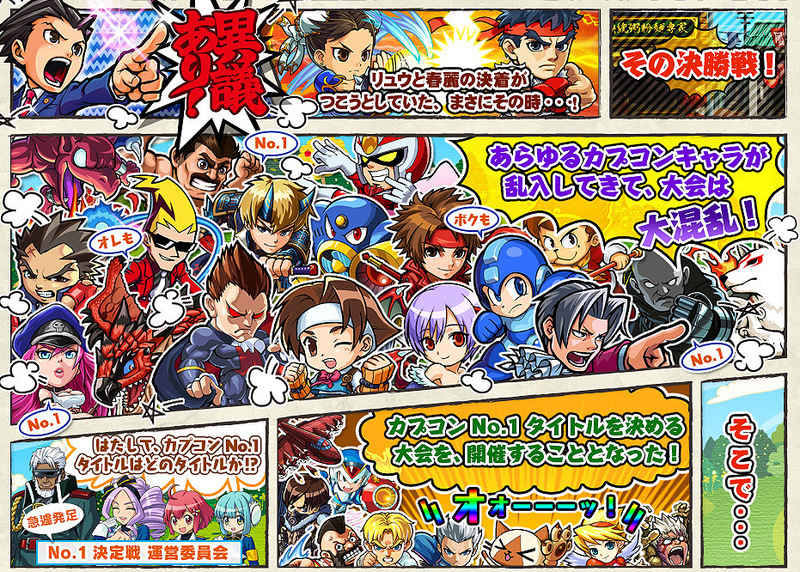 You wil able to meet once more Ryu, Ken, Chunli, Zangief etc on you Samsung tablet now. Both games are, Street Fighter X All Capcom will be released on November 19th, 2013 in Japan, then Street Fighter: Battle Combination scheduled on October 22nd, 2013 in Japan. The releases are mean as part of Capcom's celebration of their 30th anniversary. 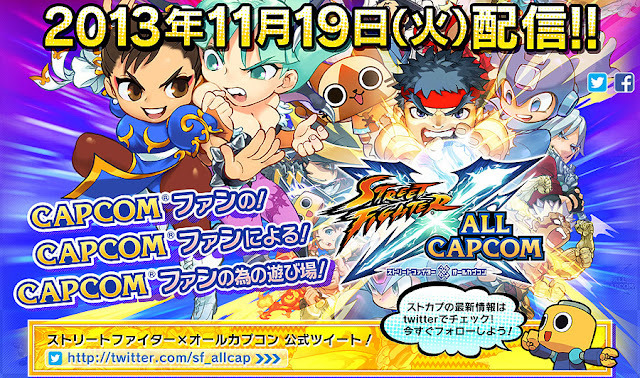 Capcom akan merilis game bertaburan bintang di gadget Android and iPhone untuk Street Fighter. Judulnya adalah Street Fighter X All Capcom, akan dirilis bulan November tahun 2013.